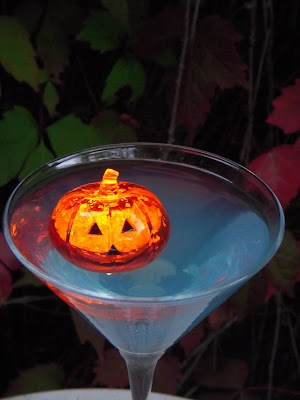 look at these illuminated pumpkin "ice cubes"
it should be a wild night. 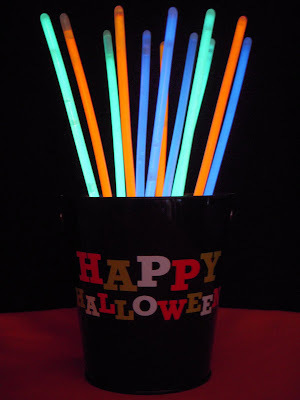 Oh, I just bought the floaters from Sur la Tab--now I know what to do with them. 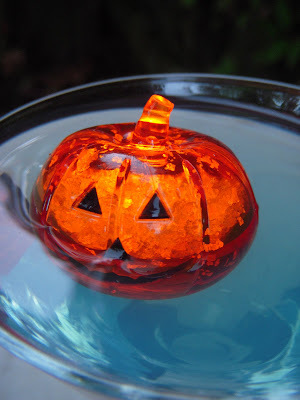 Those ice cubes are too cute - we always have "witches brew" with dry ice on Halloween night. How cute would those be floating in that! ?